Annotation: Make it easy for young learners to tell all about their favorite books with this motivating fill-in poster template! 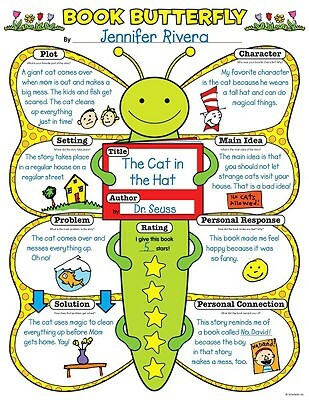 The age-perfect prompts guide children to respond meaningfully in words and pictures about plot, characters, setting, main idea, problem/solution, personal connections, and more. Includes a complete teaching guide. Perfect for wall displays or show-and-tell!